Content: 55% apricots and 45% natural apple juice. 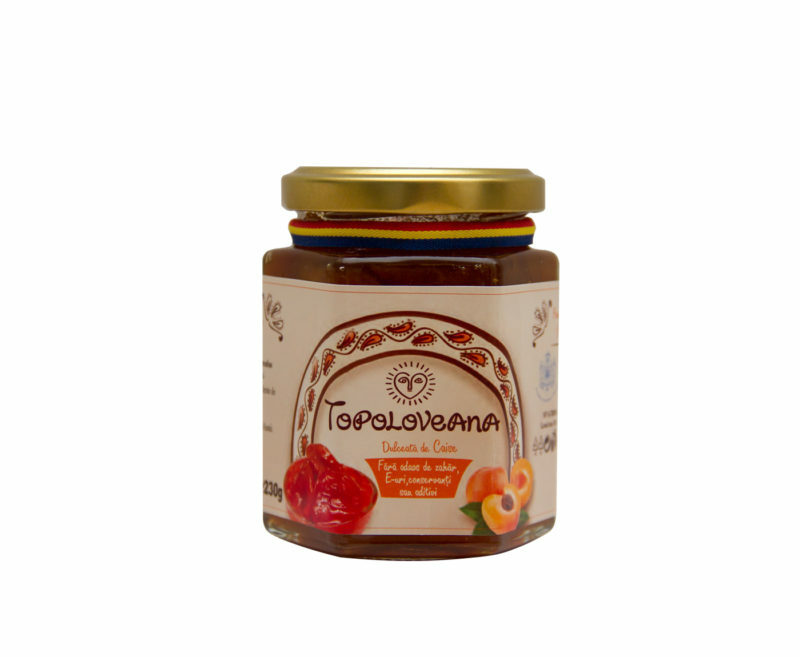 Topoloveni Apricot Gourmet Confiture–230 g.
Nutritional qualities: The Apricot Gourmet Confiture has a medium energetic value (263 kcal/100 g) and a content of food fibers of 1,9%. Benefits: Apricots are very nutritious fruit, rich in sugars naturally present in vitamins A, C, B2 and B3. They are a source of minerals like phosphorus, calcium and iron. The ancient medicine used apricots as a useful remedy for anemia, constipation or digestion problems; it helps tissue regeneration, especially the nervous tissue.